Orzly OnePlus 6T Wallet Case Black is a classic and has been on the market since the OnePlus 2. A beautiful artificial leather wallet case that is equipped with all comforts and quality. The Orzly Wallet Flip Case Black OnePlus 6T is versatile and protects all sides of your OnePlus 6T. There is also room for your cards and some money. And this is kept shut by a magnetic closure. This black flip case for the OnePlus 6T truly protects your OnePlus on all sides. This way you can click your OnePlus in the cover and you can close the cover so that everything is protected. There are recesses for all buttons and ports so that you can easily access anywhere. The outside is closed by a magnetic clip that keeps everything nicely closed and protected. On the inside you will find 3 slots for the card and behind it a slot for money. We handy so you always have everything with you. 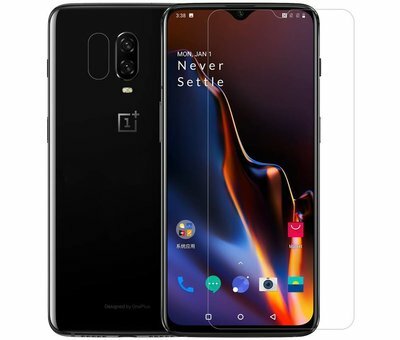 The Orzly Wallet Flip Case Black OnePlus 6T is made of PU leather and polycarbonate. PU on the outside and the inside where the OnePlus 6T clicks is made of PC. Go for a complete protection, and choose a bundle with a glass screen protector below. This will prevent any damage to the screen of your OnePlus 6T and keep it scratch free. Fingerprints will also be a thing of the past. We have already checked the fit for you and these combi's fit perfectly together. In addition, you immediately benefit from a discount on both the case and the screen protector!